Ultimate CV Axle Set (CVJ30) (27 Spline) by RCV Performance®. 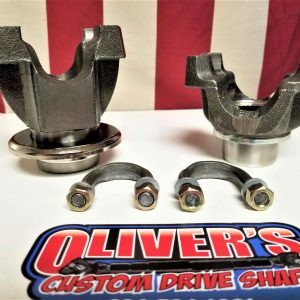 RCV Performance Ultimate CV Axles simply replace your Jeep YJ, TJ or LJ’s weak Dana 30 U-joint axle shafts with a high-strength constant velocity design. Tests prove Ultimate CV Axles to be twice as strong as OEM Jeep axle shafts, and they’re just as tough at a straight angle as they are at extreme angles – where U-joints are weakest. 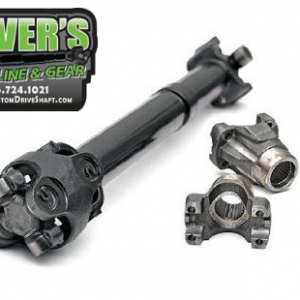 Ultimate CV Axles also eliminate U-joint binding to allow smooth transfer power to the ground. Even if you have big tires and big power there are no worries. Ultimate CV Axles are low maintenance and operate with a smoothness you can feel – whether off road or on the street. And we back it all with a “No Questions Asked” limited lifetime warranty. 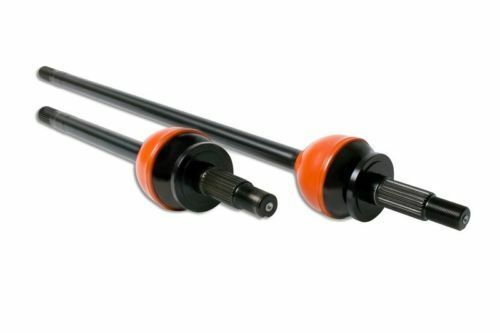 Axle set includes right and left CV axle shafts, SST seals and installation tool, installation instructions, synthetic moly grease, and installation hardware. Black oxide coating is standard.